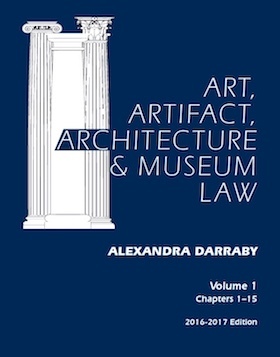 This treatise synthesizes the field of art law and provides a valuable resource for museums, collectors, auctions, dealers, galleries, artists, developers, architects, and preservation committees. It examines laws governing visual arts, presenting analysis of social, policy, economic, and cultural issues affecting arts transaction s and litigation. It covers the fundamentals of trade practices, valuation and appraisal, the Uniform Commercial Code, auction, international trade, copyright, trademark, and unfair competition, artist's rights, constitutional issues regarding display and exhibition, art fraud, archaeology and artifacts, and historic preservation. It also examines issues relating to tax, bankruptcy, evidence, fraud, forgery, import and export, and related areas.